• New video overview of Camelot and invitation to Awake & Aware in LA -- Camelot's September conference. • Click here for a transcript of our video interview with Jim Marrs. Click here for transcripts of our 13 April conversation with Duncan O'Finioan and of our 29 April conversation about Swine Flu with Dr Bill Deagle. • We've added a further 27 names to the Camelot Round Table Pledge List. The total now stands at over 1200. Usually we add new names immediately, but we've been under considerable pressure of work in the last few weeks. We do apologize to all, and we thank you for your commitment and courage in being willing to join us in hiding out in the open. • Click here for a full transcript of our interview with Dr Joseph Farrell. • Click here for a comprehensive and detailed personal statement from Dan Burisch following his appearance at the Zurich Conference last weekend. • A Zurich Conference participant has just sent us this clip of Henry Deacon supporting Dr Brian O'Leary's testimony on the reality of Free Energy. We again thank Henry for his great courage in stepping forward so publicly. • A conversation with Dr. Bill Deagle covering the up to the minute details on the deadly qualities of the vaccine; plans of the NWO and the WHO; earth changes and more...Must Listen! We are going to convene a Panel of Experts to discuss the issues with the vaccine, tamiflu and the mutating H1N1 TBA possibly as early as this Thursday, July 23. • A photo of chemtrails being sprayed by a circular, unknown, 'black' aircraft (Colorado, 2008): please click to enlarge. This is one of the most interesting images I've ever seen. I mentioned this in my Zurich conference workshop, and promised the participants I would post it. • Judging by the e-mails we're receiving, our video of Dr Pete Peterson is the most eagerly awaited interview we've ever done. Yesterday Kerry sent me a rough cut of the first two hours (in which I and David Wilcock engage Dr Peterson on a range of topics). The third and fourth hours, which Kerry is now working on, consist of David again, and finally Kerry. In working through this rough cut to recommend further edits and improvements - which is our standard process - I found myself driven to state again how important we feel this interview is. Although some of Dr Peterson's responses on record are cautious and qualified, it contains highly significant information. We're working as fast as we can to release this. It'll be another few days yet, but we have to complete our editing before we travel to Barcelona next week for the Exopolitics Summit. Our own target is to publish this, in multiple parts, by the end of the coming weekend. We do appreciate your patience. This one is worth it. • Click here for today's Camelot radio show broadcast with Jane Burgermeister. This contains essential information for anyone who is concerned about how we might be affected by a co-ordinated worldwide program of mandatory vaccinations. • There have been a number of things happening, and pieces of news to report. -- Many people have written to us, in depth, with technical and political vaccination information. Our thanks to them all. It appears there is legitimate cause for alarm in Australia and possibly Norway. We also found this page most interesting - that there is soon to be a new survival-based TV reality show... with the theme of coping with infrastructure collapse after a deadly flu pandemic. -- Henry Deacon, who made a surprise appearance on stage at the Zurich Conference (and received a standing ovation), has agreed to speak at the Amsterdam State of the Planet conference on 1 August. Click here for details. -- Today, on Whistleblower Radio, Kerry and I are talking with Jane Burgermeister about vaccinations. Don't miss this. I listened today to Kerry's interview with Dr Waterman on the same subject - don't miss this either. It is excellent. -- We're still working on the important release of information from Dr Pete Peterson. We now have a 'rough cut' of most of the video. The two thumbnails below [click to enlarge] show 'our' Pete Peterson, in a photo taken during our meeting two weeks ago - and the 'other' Pete Peterson from the page I (Bill) had mistakenly referenced. The 2002 photo of the 'other' Pete Peterson was so similar that even his good friend, 'Doc' Barham, had to write to him to ask if it was him or not. (It was not.) Mea culpa, and I apologize. But you may forgive the confusion! 'Our' Pete Peterson is on the left. -- Any Zurich Conference delegates who have audio, video or (important!) still photos they're willing to have published in a conference collage, please send them to us. Thank you. "Mandatory H1N1 vaccinations declared in Norway - News reports shots ready around November 09. Will we see Norway's first civil-war in almost 60 years? Proceeding with communication with the royal family, they are not of Draco blood. Hope? Stay tuned." Please ask for any “evidence” of such claims to be sent to support@projectcamelot.org with 'ATT: Dan Evidence' in the subject line. I will report on this investigation at Awake & Aware in L.A. – then on Eagles Disobey. We have heard them. Pass my love to them. • Project Camelot will be traveling to Barcelona to host a panel discussion at the Exopolitics Europe conference from 24-27 July, then to Greece to interview Paul LaViolette about the 'superwave' - and then to Amsterdam for the State of the Planet Conference on 1 August, and to interview Patrick Geryl. • It has been a day of miracles at the Zurich Conference. In the middle of Brian O'Leary's presentation this afternoon, Henry Deacon - who had been present as an anonymous delegate - took the stage on impulse to support Brian's testimony concerning Free Energy. All this is on video and will be released soonest. There was a most remarkable atmosphere in the Conference and a number of amazing things occurred. The organizing team will report back here and elsewhere, in full, soonest. • Click here to listen to Dan Burisch's live Zurich Conference workshop (10.00-12.00 CET, today) - starting right now. Click here for my audio interview with Dr. John Waterman recorded this evening at 11pm PST from California. There is much more... let me just say that it has been one of the most effective ways of downgrading most of humankind..."
• And some information from Dr. John Waterman, someone who has done substantial research in this area. -- the potential unethical intentions of some of the vaccine administrators or vaccine creators. The audience question was about the latter. But Dan Burisch, being a microbiologist, answered about the former - stating that he felt there was scientific evidence that vaccines helped to reduce disease. Following this there were some very passionate and interesting opinions expressed. Meanwhile, Kerry and I at Project Camelot are delighted to be in touch with Jane Burgermeister (who will be a guest on our radio show on Tuesday) - and the vaccine debate may well be continued in Dan's Conference workshop from 10.00-12.00 CET tomorrow, Sunday. Click here to listen. • I formally want to apologize here for any misunderstanding regarding what is going on at the Zurich Conference. I was not invited, I cannot attest to anything that is being talked about on stage in Zurich. I, Kerry Cassidy, am absolutely opposed to vaccinations of any kind. I do not know why Dan Burisch is encouraging people to get vaccinated. I have not listened to the broadcast however, my opinion on being vaccinated is firm. I would not recommend them under any condition. • The Zurich Conference is experimenting with a live internet audio feed from the main conference room. Click here for a link to the live audio, which should start streaming automatically. The conference will reconvene at 19.00 Central European Time (PST + 9 hours) with a panel discussion featuring David Wilcock, Brian O'Leary, Dan Burisch, Marci McDowell and myself (Bill Ryan). As I write this on my laptop, this starts in 10 minutes time. If this works, tomorrow morning (10.00-12.00 CET, Sunday) we will broadcast Dan and Marci's workshop, and after that (14.00 CET) Brian O'Leary's presentation to the conference. Click here for a timetable... do let us know if this experiment succeeded! • Yesterday (Nikola Tesla's birthday) was the first day of the Zurich Conference: A New World - If You Can Take It. Bill Ryan opened with a three hour presentation of the challenges that face the human race, and the evening then belonged to Dan Burisch and Marci McDowell. David Wilcock is giving his talk today. Everything will be presented on video in due course, including a Futuretalk with Bill, David, Dan and Marci, which was recorded privately on Thursday evening. The quantity of high-quality material we have to edit and publish is rapidly growing - including the testimony from Dr Pete Peterson which Kerry is editing [video] and Bill is transcribing [audio, in preparation for a detailed report]. We ask for your patience, as there is an enormous amount of information to sort, edit and present. Meanwhile, we are able to publish this video clip showing Dan Burisch receiving his orders from Majestic in October 2005. This is security camera footage showing Marci McDowell reading him a formal document that had just been received. It has never before been made public. The third person in the video is Deborah Burisch, Dan's ex-wife. Note: this high-resolution video is a large file (74 Mb) for its length (5 mins). It may need some time to stream. Other information includes a number of affidavits - in one of which [page 5] the recent former members of Majestic 12 are named: click here for a PDF of all these documents. And click here for a PDF of images of a young Danny Crain receiving his 1985 BSc degree at the University of Nevada, Las Vegas. I (Bill) was personally given one of a small number of still existing embossed cards, shown at the top right of page 1, showing Dan's name with his new degree. I will keep it in my safe with other irreplaceable documents. • Click here for a 20 minute audio interview with Dr Brian O'Leary, speaking with Bill Ryan about the urgent necessity for the acceptance and adoption of Free Energy technology in a world facing enormous challenge. 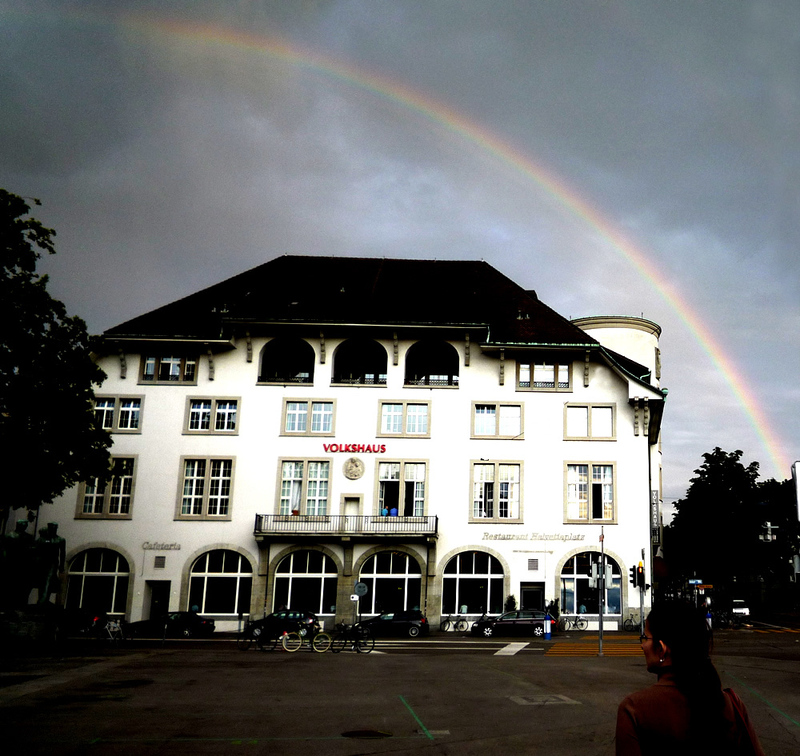 • Dr Brian O'Leary has just arrived in Zurich for the conference next weekend. Tomorrow I (Bill) will be taking him and his wife to the Matterhorn - the bottom, not the top! - so he can show Meredith the mountain he climbed when he was a young man. En route we'll have time to record an audio interview about Brian's up-to-date view of the challenges faced by the human race. Meanwhile, David Wilcock, Dan Burisch and Marci McDowell all arrive in Zurich on Wednesday, and on Thursday David, Dan and I will record on camera a Futuretalk conversation - the first time we have all met together since Dan's CalTech presentation last year. There are nearly 300 people booked to attend the Zurich conference, from 28 different countries. Besides the presentation material - some of which we believe is important - this will be a major international networking event. There are still a few tickets left. Please contact the organizers for details of how to register at the last moment. David and I will be presenting some of the details from our meeting with Dr Pete Peterson last weekend (see below) - and Dan Burisch and Marci McDowell will be presenting archive material never before made public. It may be quite an event. Meanwhile, Kerry and I are working through the material recorded during our visit to Dr Peterson. [See important note below.. this is not the man we originally linked to below]...We have many hours of testimony. We're working as fast as we can to organize all this information and make public what is on record. Dr Peterson stated that he was personally convinced that there would be a 'bank holiday' this fall - and, apparently confirming this, we have been contacted anonymously with a credible report of a shipment of signs to a depot in California, stating THIS AREA IS UNDER MARTIAL LAW. We take this seriously, and are concerned. On last Thursday's radio show, a medical doctor, named WATERMAN on the Avalon Forum, phoned in to report a personal meeting with his Senator that left him in little doubt that mandatory vaccinations were on their way. He also described how he was invited to a pre-release screening of the new movie, 33 Minutes, in response to his direct question about the possibility of a nuclear attack on the US. There are multiple indications (as there were this time last year) that we may have quite a challenging few months ahead of us all. We would like to think that the planned events may be averted or avoided, in total or in part: but it may be wise to take precautions - each depending on our personal situation. Important correction: We have now learned that this is NOT the same Pete Peterson that we met with. Although there is a resemblance -- it is not the same man. • I have now arrived back in Europe, and Kerry is starting her day in LA. This LANL page of Dr Peterson (see below) has just been brought to our attention - we didn't even know about it. A 'polymathic' physicist is a good way to describe this astonishing man who has done ground-breaking research in a wide variety of areas and who - based on what we understand - would probably have been awarded several Nobel prizes if the more interesting work he has done was ever admitted to the public domain. • The Project Avalon site and Forum are down... we do not know why. We are taking steps to move Avalon to another host as soon as possible. Please bear with us. • Kerry, David Wilcock and myself - with a friend and colleague, 'Doc' Barham - are all traveling back from a particularly significant trip to interview a key whistleblower, Dr Pete Peterson. We did our best to give a summary of our experience on the Camelot radio show (all of us huddled over Kerry's cellphone in the airport departure lounge) and we experienced a fair amount of chaos - which I suspect is directly proportional, in a situation such as this, to the importance of the information we were trying to impart. We hope the attempted broadcast was not too chaotic for listeners to endure: we'll do rather better on Thursday with no interference or noise, and on a good connection. In the meantime, stay tuned: we'll write up our report soonest. We believe this may be the most significant interview we've yet done. Dr Peterson is an extremely well-informed insider - and a most remarkable and brilliant scientist - who has come forward to talk with us publicly on video because he feels the issues he cares deeply about, and knows about, are too important to keep silent about. We salute his courage. The nature of his testimony, as he described to us in a preliminary phone conversation, was so extraordinary that I immediately flew to the US for the weekend, where Kerry and I were joined by David Wilcock - the first time the three of us have interviewed a witness together. Among the many things Dr Peterson spoke about at length was his strong, informed belief that there will be a melt-down of the global economy - and US infrastructure - within months; that Obama is planning to disclose the reality of ET contact by the end of the year; and that most, but not all, of the ET visitors are friendly. There is much, much more, but I am writing this in the departure lounge of the same airport, and I have no more time as my flight is being called. More later in the next few days, and our thanks again to all who helped make this possible. -- How he came to understand that 15% of the world's population (of all races) have ET ancestry that can be seen in their DNA - and are also resistant to mind control technologies. And there's more. The above is an incomplete list. We will get this information out as soon as possible, but in the meantime David Wilcock and myself will both be incorporating some of this material in our presentations at the Zurich Conference on 10-12 July. • We had problems yesterday with our web host, PowWeb, who suspended the site without warning - citing the amount of disk space (over 30 Gb) used. They would not accept our explanation that we hosted hundreds of video and audio files... and had always done so. We were quickly contacted by a colleague who had the entire site mirrored - and the site is now restored. We apologize to everyone who was concerned about our welfare, and thank you for your many messages. Given our 24 June announcement below, the timing was interesting. • In response to our request below we have received, again, many generous donations (some extremely generous) and this has enabled us to do exactly what Camelot was created for. We will report on this in detail soon. We doubt that you will be disappointed, and we want to thank everyone for their continuing extraordinary support for everything we are doing. • We have been contacted by a new whistleblower who has worked deep on the inside. He is in a position to confirm details of the secret space program and 'non-local' instantaneous communication systems, and (besides much else) the planned date of the crash of the dollar. We need the funds so that we can interview this person immediately. Any donations to this effort will be very greatly appreciated. • There are just 10 places left for Dan Burisch's workshop at the Zurich Conference on 10-12 July. The conference itself has 70 remaining seats. Click here to pay by PayPal or contact the Swiss Groundcrew for bank transfer details. 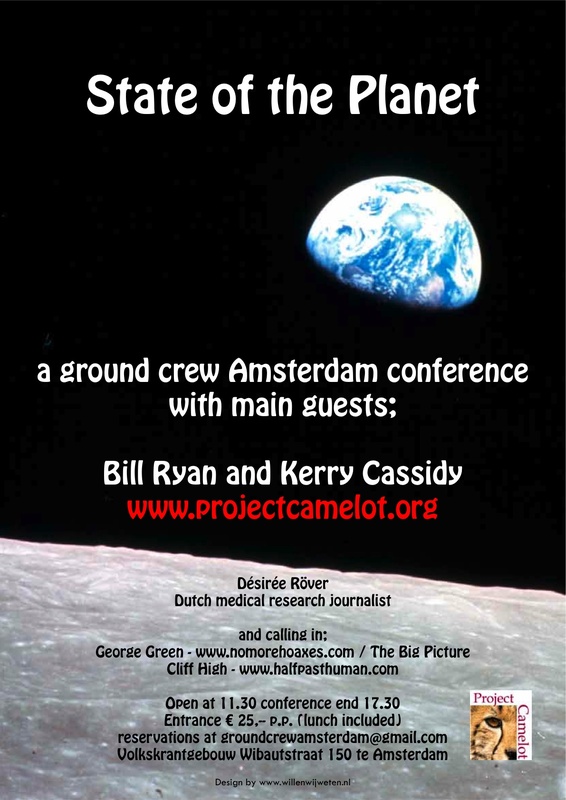 Delegates have booked from 25 different countries: international networking will be as valuable a part of the event as the informational content from Dan, Brian O'Leary - and from Bill Ryan and David Wilcock who are both planning to join Kerry Cassidy for a very important new whistleblower interview - see above. 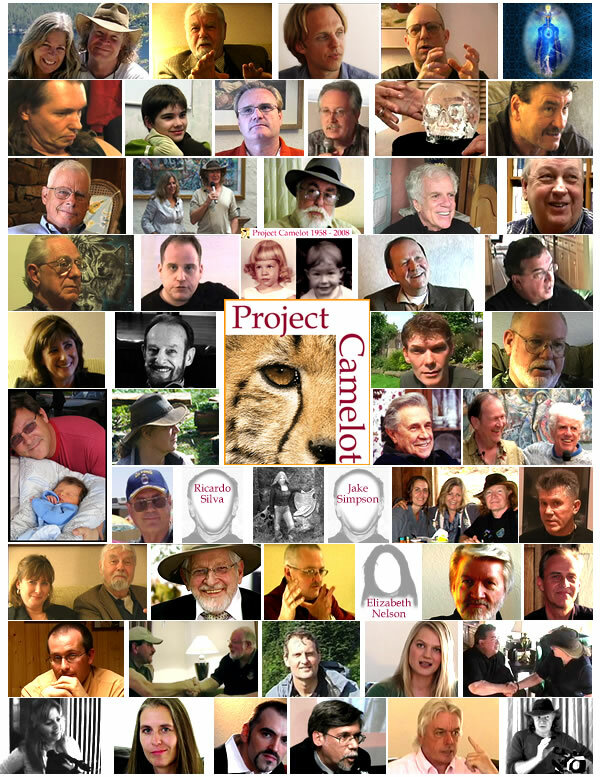 • Today on Camelot Whistleblower Radio (we like the name! ): Dr Richard Sauder, researcher of underground and undsersea bases. On Thursday: David Wilcock. • Awake & Aware in LA Conference Tickets on Sale Now! Please book early as this event is expected to sell out. • Tickets are also still available for the Zurich Conference.. Speakers: Dan Burisch, David Wilcock, Brian O'Leary and Bill Ryan from Project Camelot. • Click here for the two minute unedited clip of Henry Deacon calling in live to the Camelot radio show to confirm that what Dan Burisch had said about the timeline problem was correct. 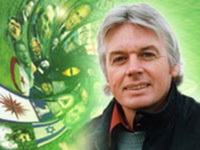 We thank Henry here for his great courage, for his commitment to the truth, and for the conviction that he shares with us that the human race must be permitted, and trusted, to know what really is going on around them. • Click here for the Camelot radio show archives page. Yesterday's inaugural program is already there. Henry called in at the 94 minute mark. • George Green will be our Guest for the 1st hour of our Thursday show. After our show yesterday, AFR announced that the Camelot Radio Show had drawn "the largest audience that the radio network had ever had listening to a show". • Well, we did our first radio show. It was interesting: we had to get used to stopping talking (hard for either of us) when the music started, and we're not at all used to commercial breaks. But Henry Deacon phoned in briefly to confirm, on record - as he had with us in 2006 when we first met him - that Dan Burisch's testimony about the timeline problem was essentially correct. Just a reminder that anything can happen... and we both hope that it will continue to. Henry, you're welcome on our show any time. Your own words live on air were important for thousands of people to hear: and we hope to hear from you again soon. • Join us! Tune in to our first Project Camelot Radio broadcast 11 am PST today. [12 noon MST, 1 pm CST, 2 pm EST, 7 pm UK, 8 pm Europe.] Call in and talk to us. We will be live, looking forward to hearing from you. Starts Tuesday, June 16th... Join us for our ground-breaking first Camelot Radio show on American Freedom Radio. • Not to be missed!... the New Sony Pictures scifi movie MOON! Please contact Kerry@projectcamelot.org for more information. In addition, Project Camelot is now registered as a nonprofit in the U.S. and we are filing for 501c3 (tax-exempt status). Although this could take up to 6 months, provided that tax-exempt status is achieved, any donations received from today on will be able to qualify as tax-exempt retro-active as of today's date (for U.S. only). entitled Transforming the Five E's: Energy, Environment, Economy, Education and Ethics. Click here for more info. Or to register, write Brian at info@montesuenos.org and for more information go to: montesuenos.org. The Eagles Disobey website is up and running and will soon undergo some changes to facilitate a new format, including regular updates. Dr. Marci owns over 200 websites (most all of which are up and running on the internet) and has plans to update them too. As most of the Eagles Team now moves to well earned private lives, she has taken back control of the website, just like in the early years, and will be running it herself as the webmistress. Dr. Dan's direct access to the "forum going internet community" and email-based response to questions about his history in Majestic has now come to permanent closure. Eagles Disobey is alive, well, and will be publishing more novel research, DVD's about Dr. Dan's history in Majestic, and the times in which we live. It will continue to host our humanitarian effort (Angel Eagles) and will also be the place to find out about a large effort which will be underway soon, called "Project Isis" for which Project Camelot was the first to donate a large quartz crystal. Both Dr. Dan and Dr. Marci will be attending the Zurich (Swiss Ground Crew) and L.A. (Project Camelot) conferences, and are looking forward to speaking with the people, giving them quite an update about events which have and continue to affect us all. -- The Project Camelot article 2009: A Tale of Two Timelines - described by Dan and Marci "one of the best papers we have ever read on the subject". -- The Project Camelot article Timeline 1, Variant 83. -- This Project Camelot article Dan Burisch Summary - an important reading for those for whom Dan's story feels both important and complex (and no, don't believe everything you read on the internet about him: much of it is malicious and/or false). -- And of course any and all of our Dan Burisch video interviews. • At the 10-12 July Zurich Conference Dan and Marci are speaking for several hours, in considerable depth, on this and many other topics. Their 10 July presentation is a major first (and in LA in September, this will be also available for those not in a position to travel to Europe). On Sunday morning 12 July Dan and Marci are also giving a personal workshop for a maximum of 50 people (limited by the size of the seminar room available). This - unsurprisingly - is rapidly filling up, and costs an additional 40 Swiss Francs ($35). On Saturday evening 11 July there will be a panel discussion where David Wilcock - also speaking in Zurich - has already told us how much he's looking forward to a live, on-stage conversation with Dan on 2012 and a number of other issues. Without wishing to be too enigmatic, behind-the-scenes communications have led us to believe that this Zurich presentation may be extremely significant. Book your place here if you would like to meet Dan and Marci in person and present them with them all the questions you never thought you would ever have the opportunity to ask. This conference is being organized by the Swiss Groundcrew in cooperation with Bill Ryan. 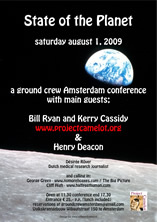 Speakers include: Bill Ryan from Project Camelot, Dan Burisch and Marci McDowell, Brian O'Leary and David Wilcock. This conference is a Project Camelot Production and will include the following speakers confirmed: Bob Dean, George Green, Duncan O'Finioan, Miriam Delicado, Kerry Cassidy from Project Camelot and Rich Dolan. More to follow. Anyone who wants to volunteer to help organize who has not already submitted their name and skill set are welcome to email us at: kerry@projectavalon.net and please put: AWAKE & AWARE in the subject line. We are working on a new site or site division that is going to address a sort of Yellow Brick Road to becoming a Jedi Light Warrior or enlightened warrior in the face of the coming changes and the future. Anyone who wants to submit possible ideas, graphic approaches, concepts are welcome... Please keep in mind we are not able to write back to everyone so if you don't hear back please understand. We will try to review all submissions. The bottom line is that we are facing an invasion of the planet (it's been going on a long time) and we need to take the planet back... and to do so we need an army of fully developed light workers. It is a battle for hearts and minds (and souls). It's all about consciousness. Thank you. We want to thank everyone who responded to our recent call for additional funds. We are pleased to announce we paid our credit card balance from travel off and are able to pay rent and food for June and July... Please continue to donate if you are able. One person asked me what we use the money for... and for those who don't know we are totally self-supporting and rely on donations and subscriptions (to the Avalon forum) in order to pay the rent and food as well as finance any travel for Project Camelot interviews. Our travels have been severely curtailed for the past few months due to lack of funds. We are also investigating filing for nonprofit status to allow for larger donations and longer range planning for our site. 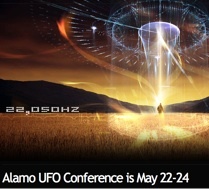 The Alamo UFO conference went very well and many people were very interested in the new aspects of the Big Picture that Kerry Cassidy had to share. Charles Hall and Tom Dongo also presented excellent material. Project Camelot has been asked to do a regular RADIO show on American Freedom Radio. Stay tuned for more information. We encourage everyone to visit the websites of all those we have had the good fortune to interview. One of our Avalon consultants, Athena Thompson, has a great new SciFi novel, The St. Clair Twins: The Forbidden Truths -- for young adults and for those forever young... along the lines of the Harry Potter series. Highly recommended! It is loosely based on material gained from Project Camelot as well as other sources. Thrown headlong into a perilous intergalactic battle, the two teenagers come face to face with the hidden forces that have shaped humanity for millennia—an ancient race of ruthless Reptilian overlords and a subordinate race of mind-bending Greys. As the twins grapple with their newfound knowledge and abilities, they quickly come to realize that reality, as we have all been led to understand it, is not at all what it seems… For more info and to purchase a copy please go here. I have it on good authority that Rich Dolan's new Volume II (author of UFOs and the National Security State) is now finished and soon to be released! • Thank you so much to all who responded to our call for funds. Your generosity has allowed us to pay off the credit card debt from our travel last fall to Australia's Nexus conference and Thailand. It has wisely been suggested that we give our supporters an estimate of our costs of operation. Basically, we need funding to pay rent, food etc. as well as travel for interviews. Those who know the power of getting face to face testimony documented on film can appreciate how valuable this is. We both live in different areas of the world. 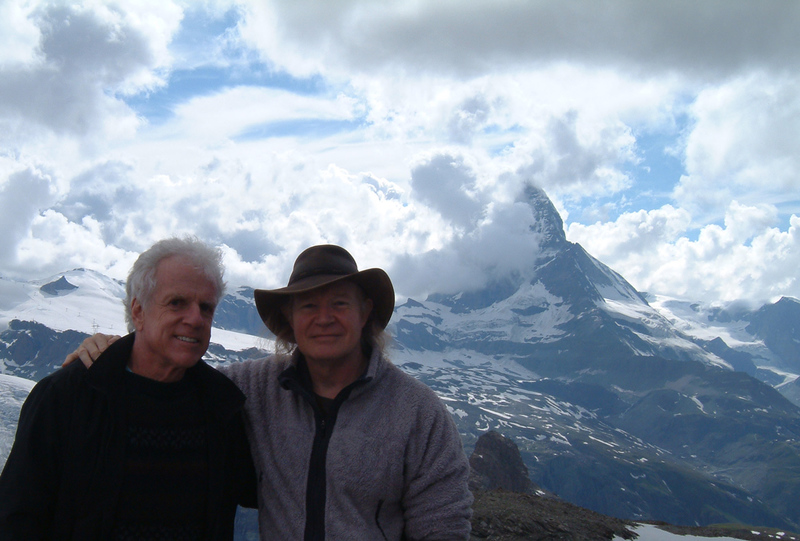 I live north of Los Angeles and Bill is based for the moment in Switzerland. Bill has had some of his living expenses paid by his housemates and friends but clearly paying his own way would be preferred. At the moment we now have just enough to make it through to mid July. The cost of operation for the year 2008 was about $45,000. However at that time we were mainly living together and traveling. We basically broke even except for an $18,000 credit card debt for travel that year. So the total needed was actually, $63,000. This is actually quite low for operation, food and basic living costs for two people. So once again, thanks for all the support and please do continue to contribute if you are able. We are looking into the possibility of becoming a nonprofit. Alternatively, we would have to consider having advertising on our site, something we have both been unwilling to do.